Producers in the US said the show, inspired by Sting's memories of growing up in a shipbuilding community in the North East will appear on Broadway in autumn 2014, once it makes its world premiere next summer at Chicago's Bank of America Theatre. The story centres on a man from Wallsend, near Newcastle where Sting grew up, who travels the world for 14 years only to return to find the town's shipyard's future is in grave danger and his sweetheart engaged to someone else. 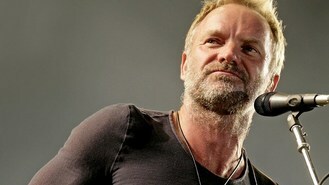 Sting, a 16-time Grammy Award winner and former lead singer of The Police, is releasing a new album next week also called The Last Ship and inspired by the forthcoming musical. He joins a list of singer-songwriters who have worked on recent musicals, including Cyndi Lauper, Sheryl Crow, John Mellencamp, Sarah McLachlan, Tori Amos, Edie Brickell, David Byrne, Fatboy Slim, Burt Bacharach and Elvis Costello. The Last Ship is not Sting's only link to the US stage. His wife Trudie Styler will star as the fading actress Irina Arkadina in an adaptation of Anton Chekhov's The Seagull at the Culture Project, off Broadway.